Prices vary on location. The quickest way to receive an accurate quote is to call our office and speak with a customer service representative. We will give you a fast quote and who knows…may even provide a great discount! What Goes into Pricing a Dumpster Rental? The best and most accurate way to receive a quote is to call our office. An experienced staff member will be happy to help. Whether this is your first time ordering a container or 100th, we are here to help. Be sure to save time and money and go with a company you may trust. What Does a Roll Off Quote Include? Some companies will quote you a cost to deliver the dumpster to you and stop there. Then when the dumpster is hauled away and dumped there will be additional charges for disposal, fuel, environmental, etc. Understand what the final cost will be so that a roll off dumpster doesn’t break your budget. What Dumpster Size Should you Rent? The name of the dumpster comes from the amount of cubic volume of the container. For example a 10 yard dumpster fits up to 10 cubic yards of waste, making larger projects a breeze. While the aforementioned dumpsters are the most common sizes available there are also 12 cubic yard, 15 cubic yard, and 40 cubic yard containers available. Please be advised that the size and prices of each container are location specific. If there was a quick fix to this answer we would provide it. However with all the factors that go into renting a container that unfortunately isn’t so. We will need to know what kind of materials you plan to throw away and how much. In the end it comes down to the weight of the material you plan to get rid of. Not only does each dumpster carry a specific amount of volume but there is also a weight limit as well. Different dumpster sizes include a specific amount of weight in the cost of the rental. Be sure to ask about the weight limit so that you are aware of this prior to throwing material away. When we take your trash to the local dump the trash truck is weighed in. The driver then dumps all of the trash out at the dump and receives an additional weight ticket when they exit the facility. The difference between the two weight tickets is the total weight in the container. Common terminology for weight when renting a roll off is tonnage. For example most 30 yard containers hold up to 4 tons of debris. One ton of weight is equal to 2,000 pounds. When we dispose of debris at the dump we pay on an agreed upon price per ton. If you are under the specified weight limit on your invoice there is no additional cost what so ever. If the weight limit is above the specified limit Discount Dumpster pays this fee and then recoups the cost from the customer. This rate is usually a pro rated $65.00/ton, but varies based on which transfer station is closest to you. The best way to avoid a permit is to place the roll off container on your private property. The majority of time the dumpster is placed on the driveway which allows for simple disposal and quicker removal. In some cases a permit will be required if you plan to place the container on a street or city right-of-way. These permits are issued by the local city’s planning and building department. Not sure if you need a permit? Give us a call and a representative will help you understand the permitting process. The dumpster rental cost depends on factors such as: location, availability, dumpster size, weight, and rental period. When you rent a container from Discount Dumpster you will receive a flat rate quote every time. By keeping our prices competitive you don’t need to worry about each project roll off dumpster rental price. Price of every container includes rental fee, landfill tonnage fee, administration fees, pickup, drop-off, and fuel charges. What Determines How Much Roll Off Dumpsters Cost? When looking into a roll off rental, location is a major factor due to drive time. We have trucks and dumpsters metro wide to minimize roll off dumpster rental prices to the customer. Prices are all affordable and easy on your pocket because we know you are trying to stay in your budget. The rental period is dumpster rental cost factor. Rental period depends on the time of year and amount of debris you have at your location. Standard rental rates range from 7-21 days. Give us a call if you need additional days and we will work with you to fit your project needs. We make sure that our customers and clients, get the best of our services which is why all of our roll off dumpster rental prices are affordable and easy to pay. One can easily order the roll off dumpster or any other dumpsters for different purposes. 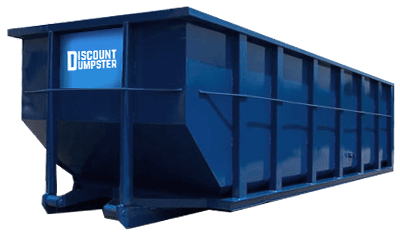 By keeping the dumpster rental costs low, we pass along the savings to our customers. We price each dumpster based on the two main factors of size and weight. When a dumpster is taken to the dump it is weighed in and out. If you are looking to clean up heavy debris the cost will go up. In order to get complete information please contact us on our number so you may take advantage of our services.